The Omaha Pedalers Bicycle Club was founded in 1969 to promote bicycling in and around the Omaha, Nebraska area. 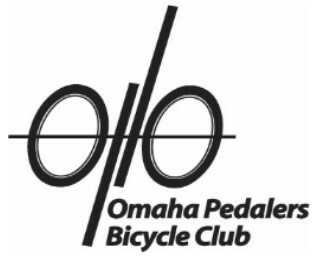 The Omaha Pedalers Bicycle Club (OPBC) is Omaha’s Premier Bicycling Club with a wide range of members and a variety of cycling skills and interests. The Club is celebrating its 50th year as a social and recreational club and not a racing club. Pedalers focuses on group rides for all levels of riders for personal safety, security and mechanical issues that are key to both less experienced and more experienced riders. The club is “An organization for Bike Riders designed by Bike Riders” and provides family focused events. Our website at www.opbc.clubexpress.com details such cycling events as the annual Great American Pie Ride, weekly Hump Day Rides on Wednesday evenings, the Rusty Spokes Ride on Thursday mornings, weekend rides, a member family picnic, an Omaha Historical Tour and a number of other rides. The Omaha Pedalers Bicycle Club believes in sponsoring events where “no one is left behind”. Additionally OPBC schedules a movie night, a Bicycle Swap Meet and Expo and publishes a quarterly newsletter. The Club is very active in supporting and promoting cycling in the greater Omaha area with various advocacy organizations such as Activate Omaha, the Papio-Missouri NRD, Omaha Bikes, City of Omaha trails system and the South West Iowa Nature Trails (SWINT) system. Check the above website for information about joining Omaha’s Premier Bicycling Club — the Omaha Pedalers.